Innovate Finance, an industry body established to promote the interests of the UK’s rapidly growing financial technology (fintech) sector, launched in London. Held at Level39, the launch was attended by over 250 of the country’s most senior representatives across the fintech community, financial services industry, government and media. Innovate Finance is supported by the City of London Corporation, as lead sponsor. The Canary Wharf Group plc is a founding sponsor committing funding and high-tech office and events space. 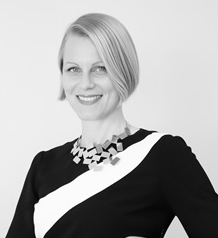 The body is led by CEO Claire Cockerton, with a Board of Directors that includes fintech leaders such as Nick Hungerford of Nutmeg, Justin Fitzpatrick of DueDil, and Alastair Lukies of Monitise Plc, who will serve as the organisation’s Non-Executive Chairman. An Advisory Council of industry experts includes Eric Van der Kleij, Head of Level39 Technology Accelerator and Nadeem Shaikh of Anthemis Group,among others. “The time has come for radical transformation of the financial services industry. Whether you are a consumer, banker or young entrepreneur – we all see enormous potential for innovation and growth in the financial services sector. Innovate Finance will be a pro-active members organisation dedicated to convening and accelerating visionary innovators, leading with our founding members. “While London and the UK provide the right talent, expertise, and market conditions, we believe our collective entrepreneurial spirit will lead us to compete and prosper on a global stage.